VICTORIA -- A winter storm left 75,000 customers without power along British Columbia's South Coast on Tuesday. 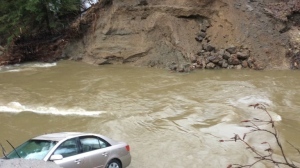 BC Hydro says the hardest hit areas were the Vancouver Island communities of Victoria, Nanaimo and Duncan. It says heavy, wet snow and freezing rain caused extensive damage to power lines, poles and transformers and crews were working around-the-clock to fix the problems. The Transportation Ministry says snow was falling at a rate of 10 to 12 centimetres every hour in some areas of the province resulting in poor road conditions. The southbound lanes of Highway 5 between Merritt and Hope were closed much of Tuesday afternoon when a commercial vehicle spun out and a travel advisory was issued for the open northbound lanes. Environment Canada says the snow was expected to taper off by Wednesday morning after dumping up to 18 centimetres on Vancouver Island and up to 30 centimetres in the Interior and southeast B.C. 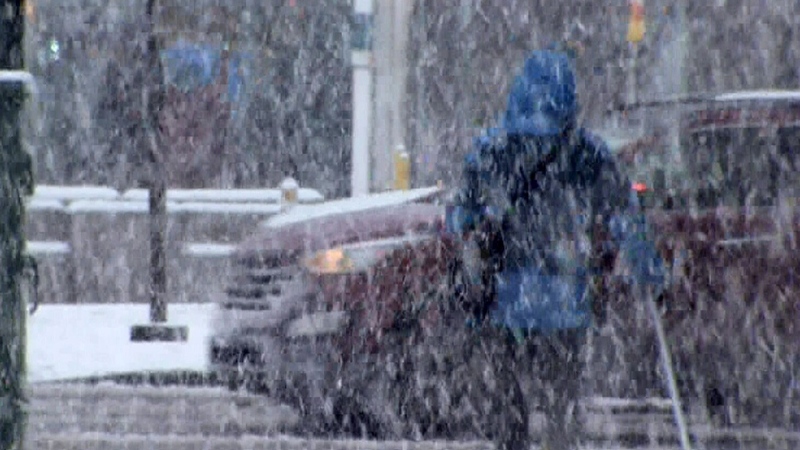 Heavy, wet snow and freezing rain caused many problems across parts of B.C.